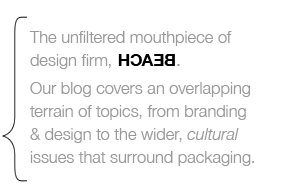 Assuming that we can still call album “cover” artwork that accompanies a digital download “packaging” then the image above is surely part of a package-related music package. 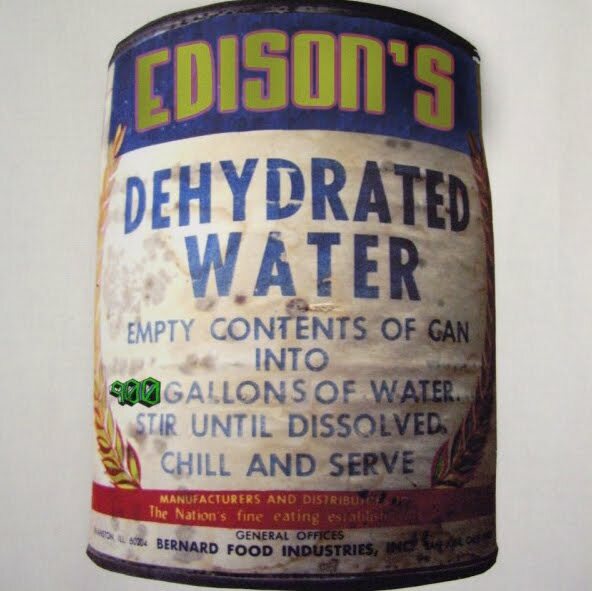 The cover of Edison’s free “Dehydrated Water” EP is obviously a roughly retouched version of the Bernard Dehydrated Water can that we were looking at yesterday. Another Edison release—in collaboration with Evak—is also package-related and, in this case, there is an actual (albiet “Limited Edition”) release. 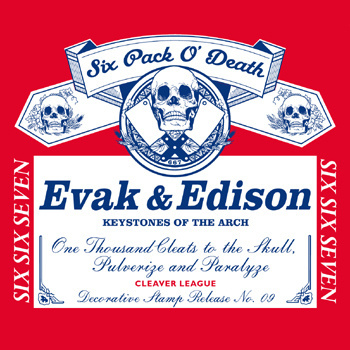 Six Pack O’Death simulates the look, if not feel, of a Budweiser beer label. Artwork by Mildew.